Borneo has two type of famous Agarwood tree, Just say the name is Agarwood A and Agarwood B. The Agarwood A live in high land / plateau and Agarwood B live in lowlands, not impossible Agarwood A also live in lowlands, or vice vista, but very little tree. 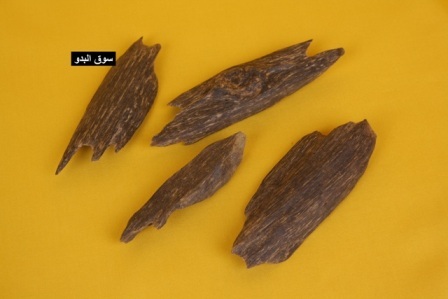 The best for oil in our experience and the team experience is Agarwood A. Why not much distiller distills this Agarwood A Material? They distilled, depending to the material, very little Agarwooder (a man that look for the Agarwood) want to find this Agarwood A material, due to the hard terrain, and the cost that paid to them almost the same. The type of material makes the Agarwood oil scent is different, like from Tarakan, Berau, Malinau etc, although sometimes the scent almost close to each other, because they found Agarwood A and B in one area and they do not different it and directly distill it. Time to time experiences teach us, some distiller use formula of mixing that two type material and found a nice Borneo oil.